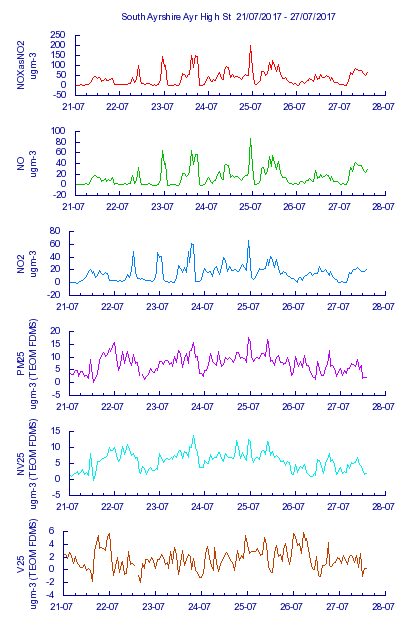 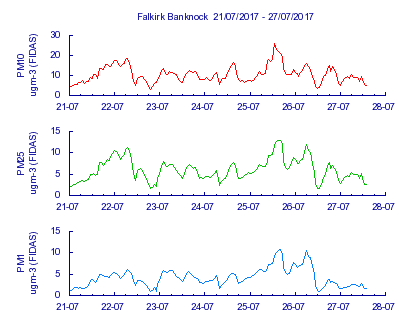 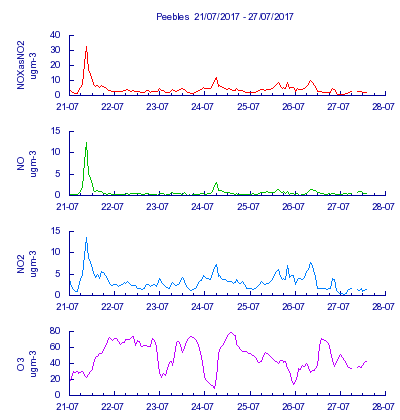 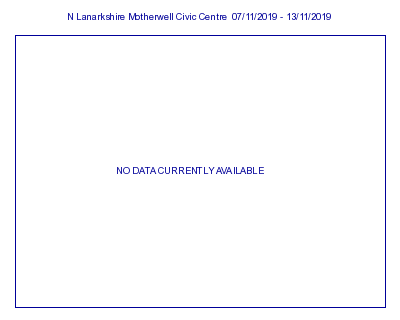 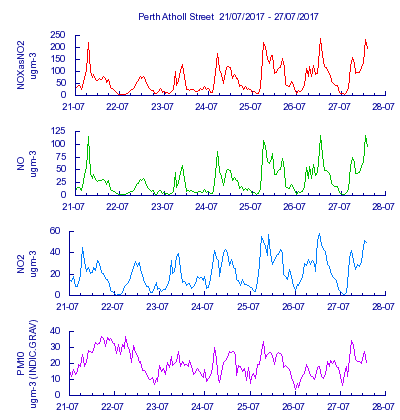 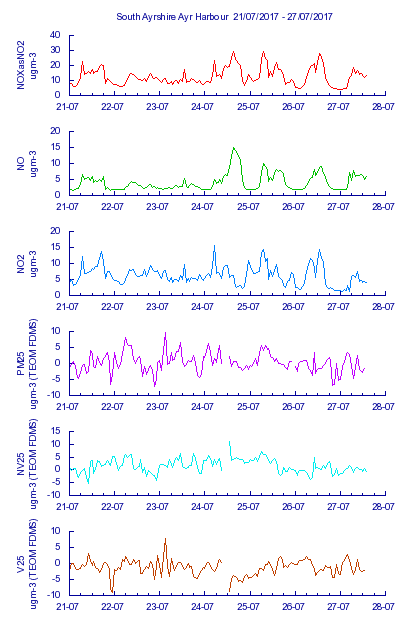 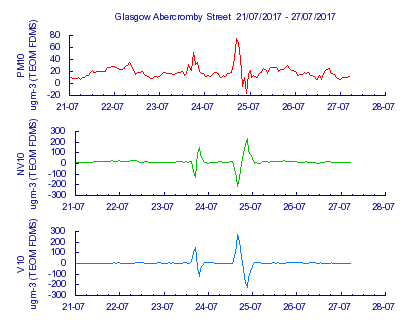 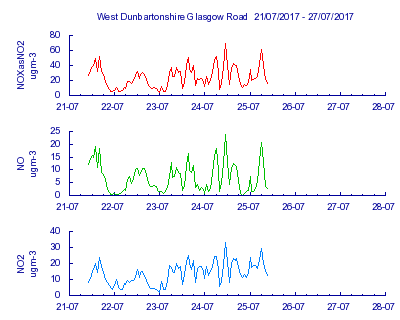 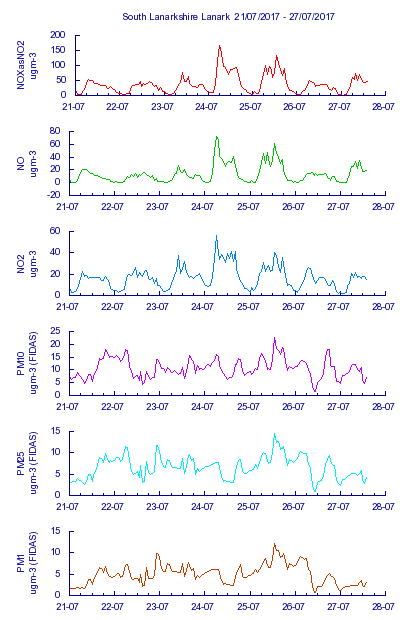 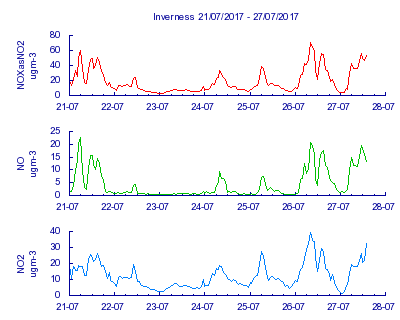 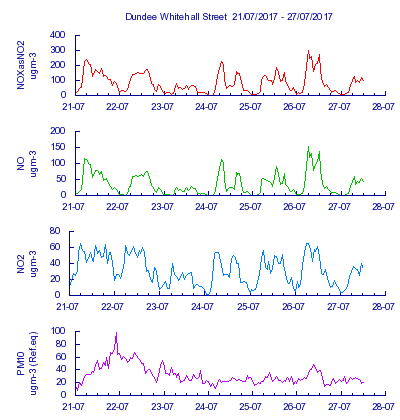 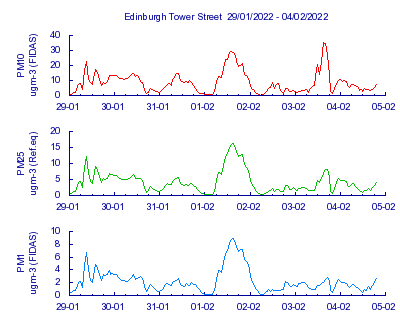 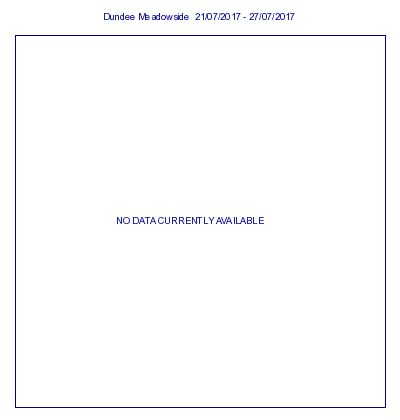 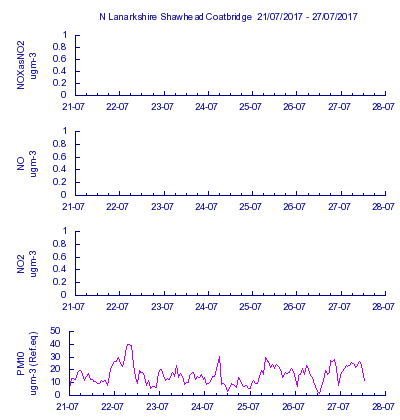 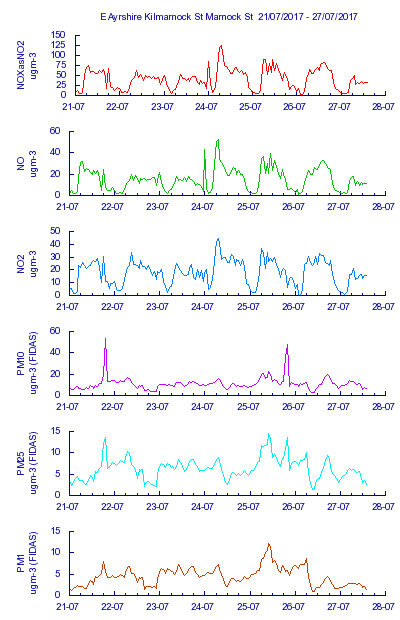 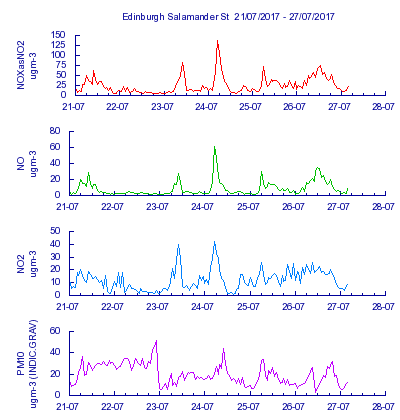 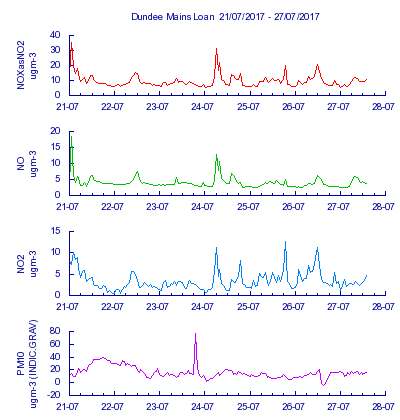 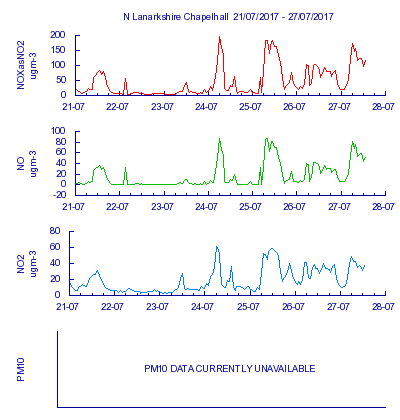 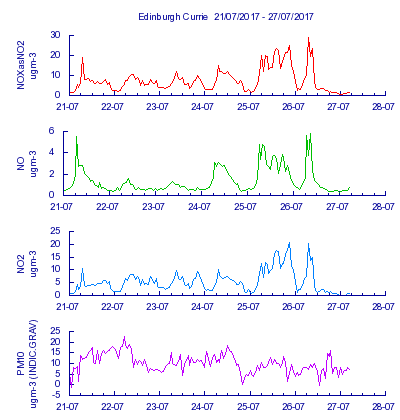 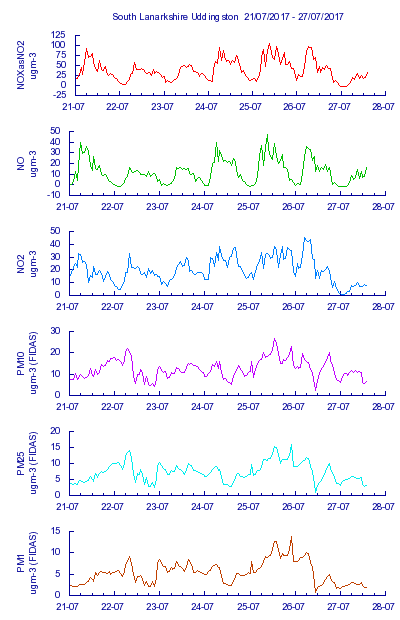 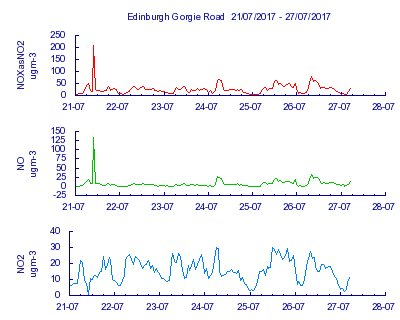 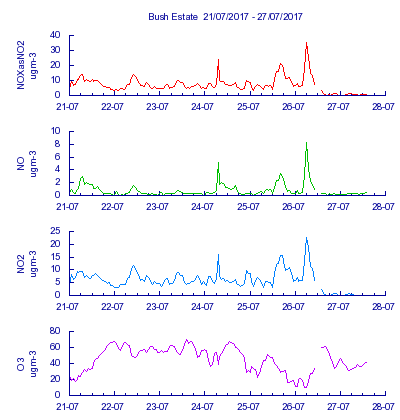 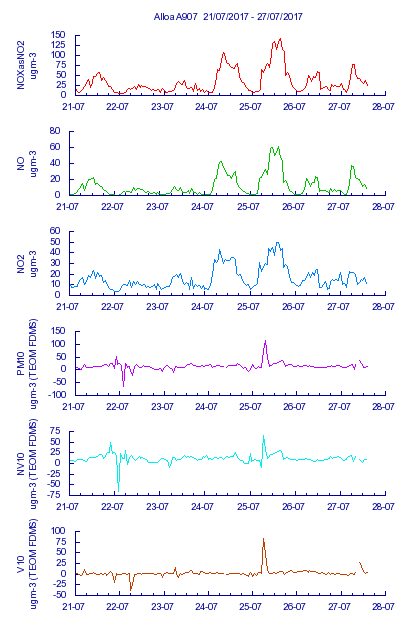 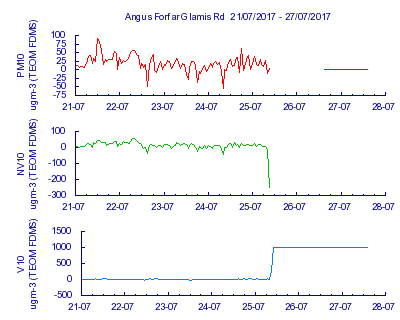 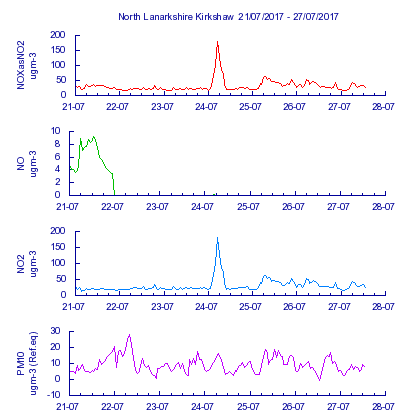 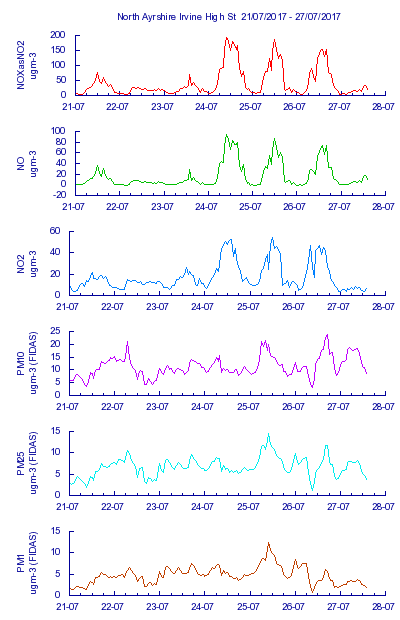 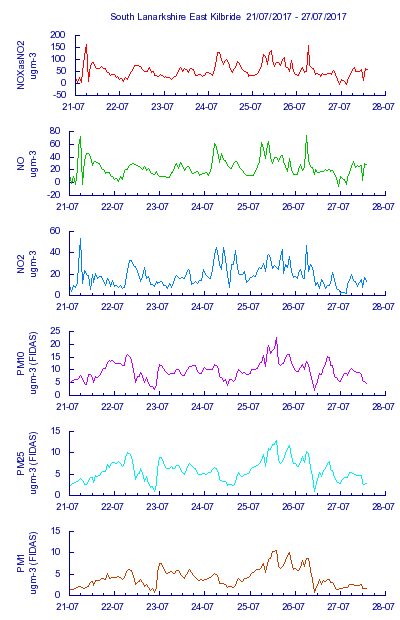 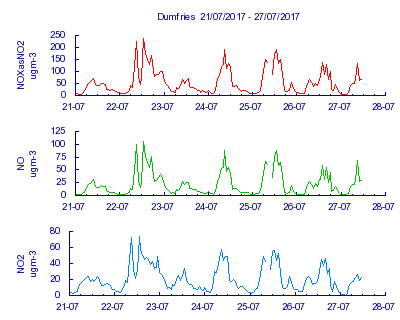 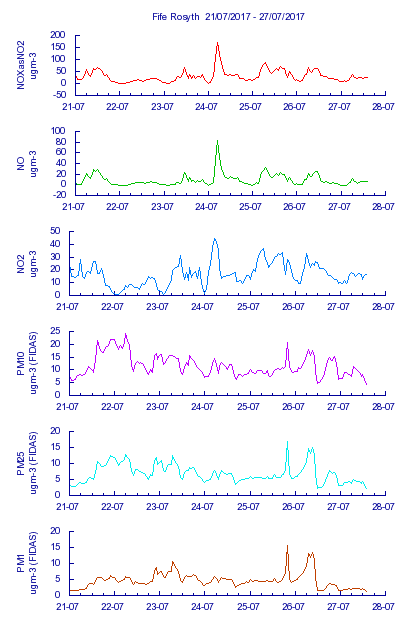 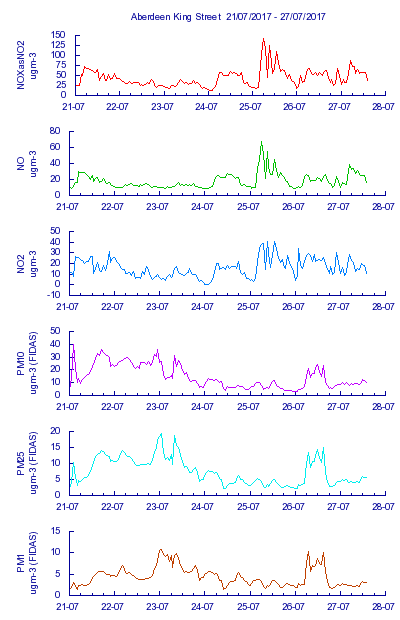 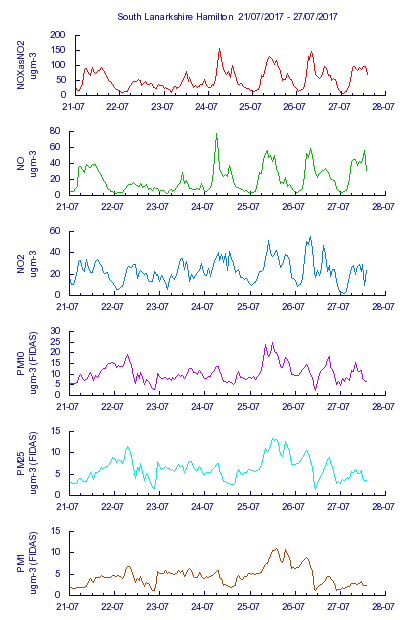 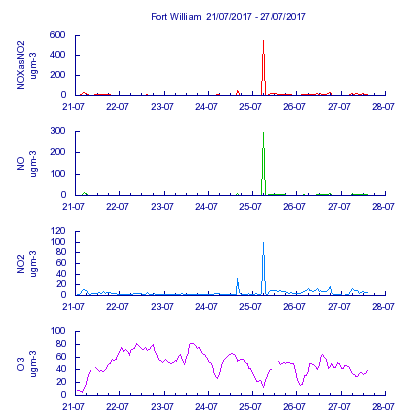 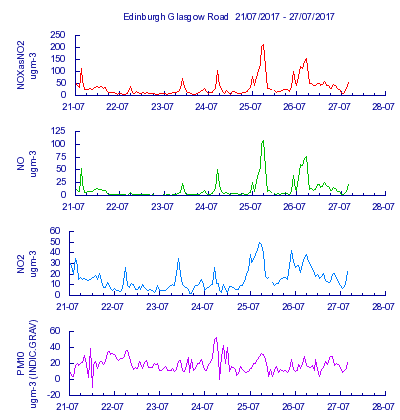 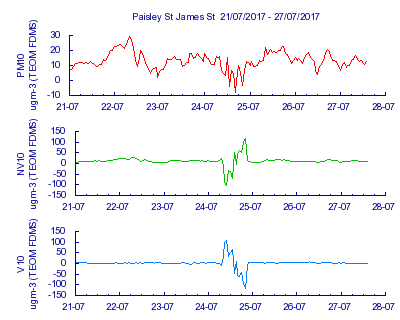 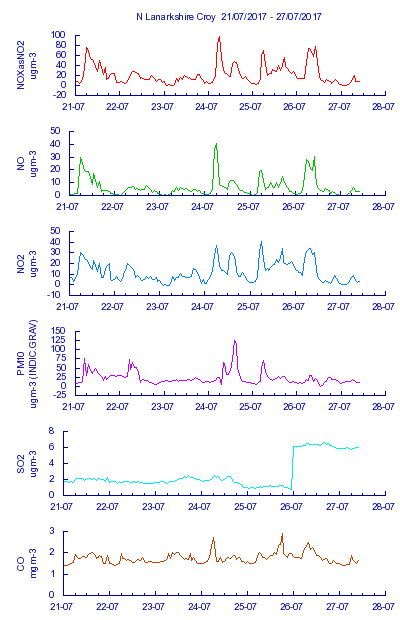 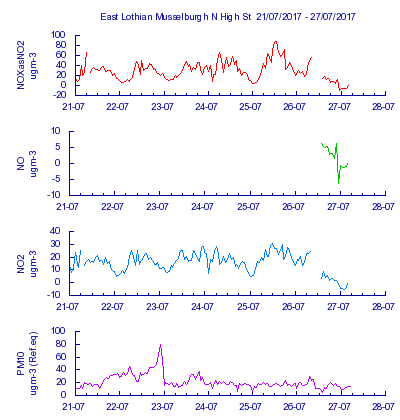 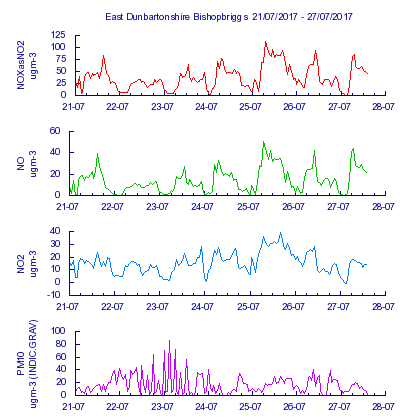 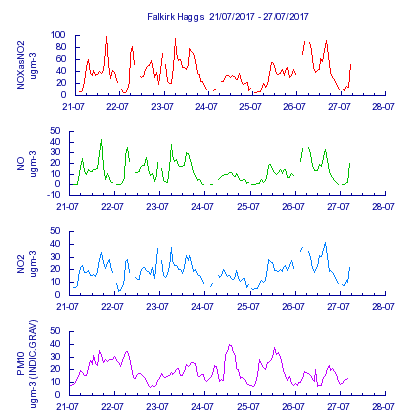 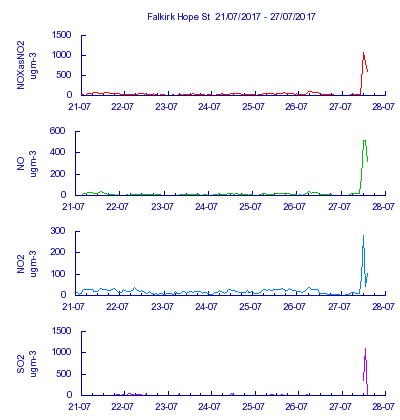 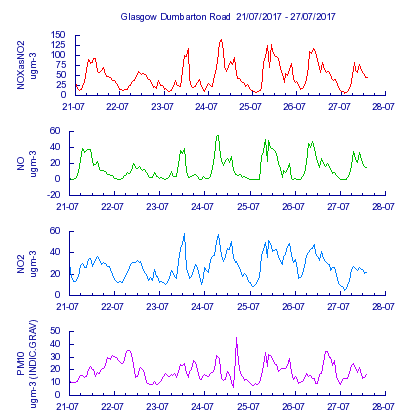 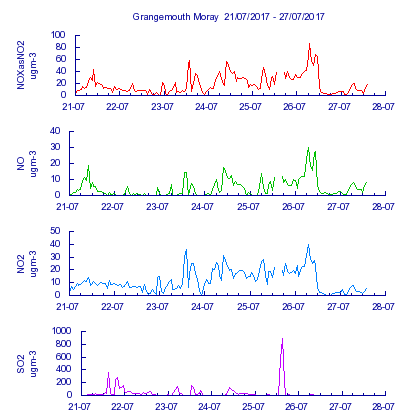 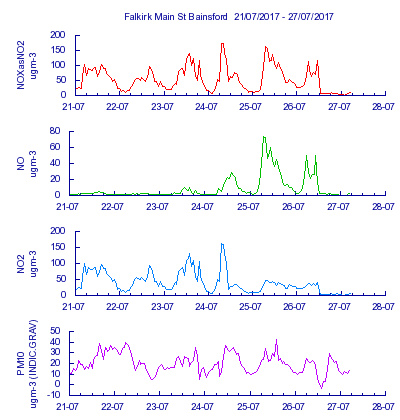 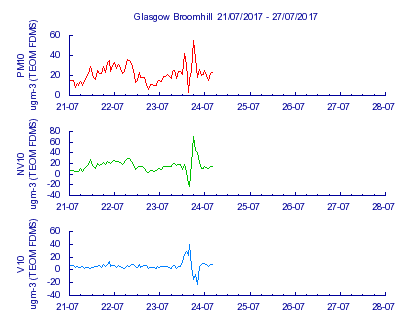 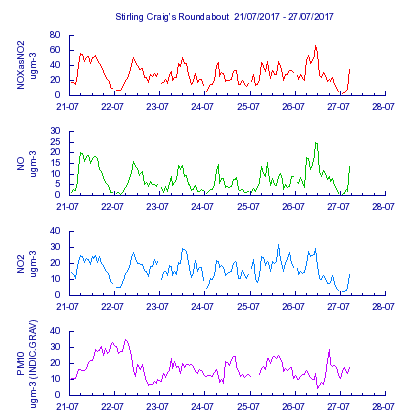 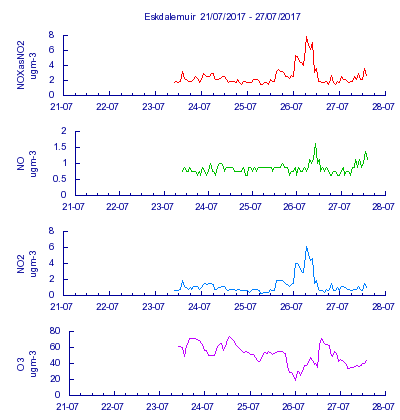 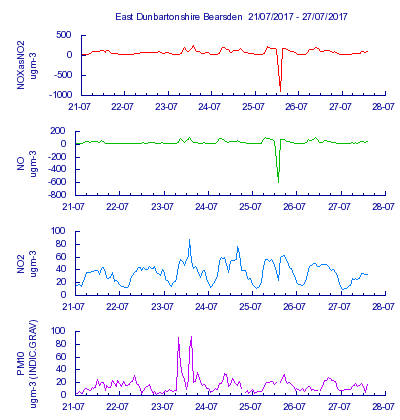 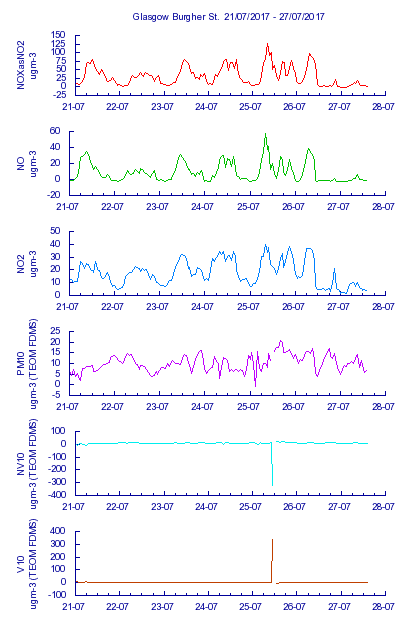 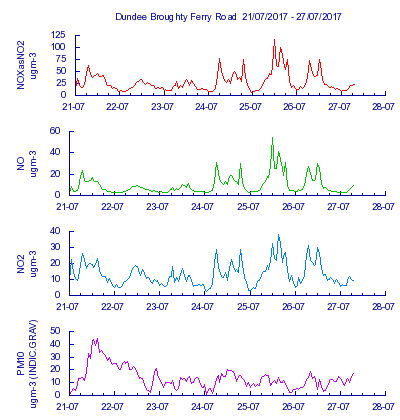 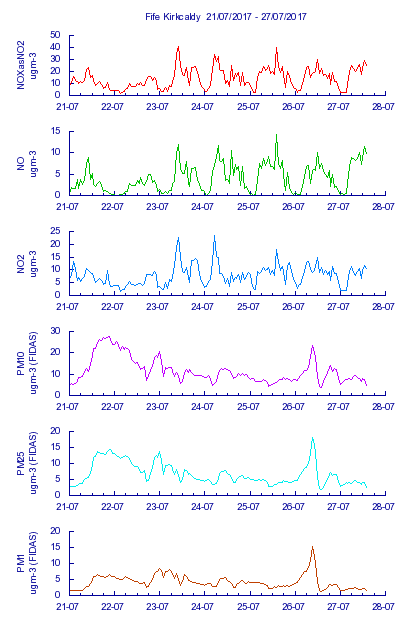 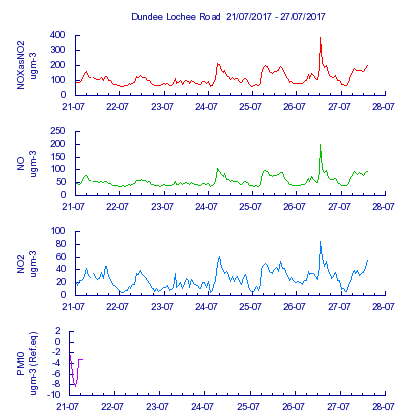 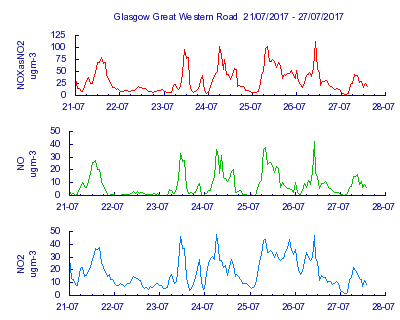 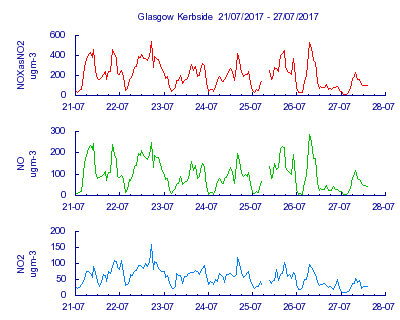 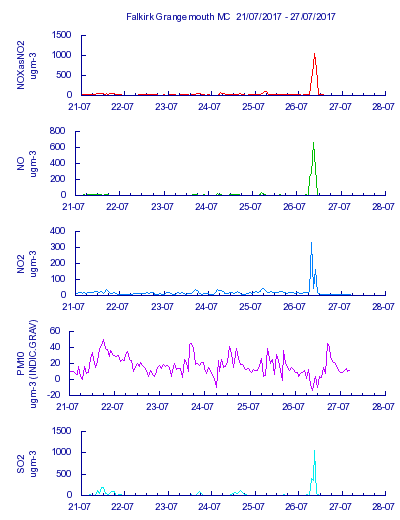 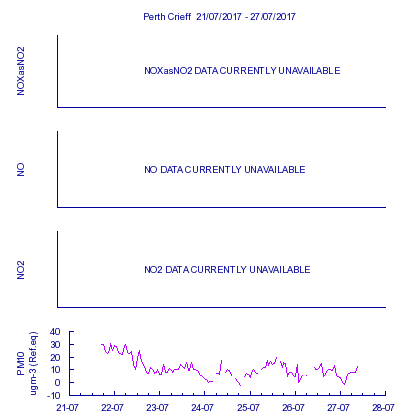 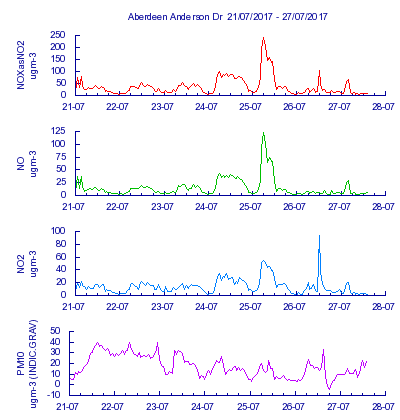 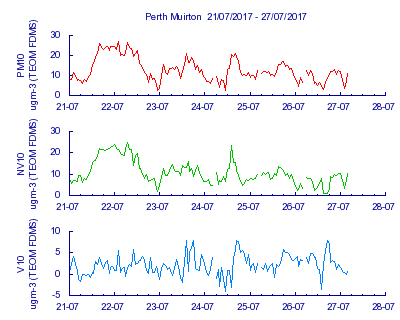 The maximum pollutant concentrations measured during the last 24 hours across the Scottish monitoring sites are summarised below. 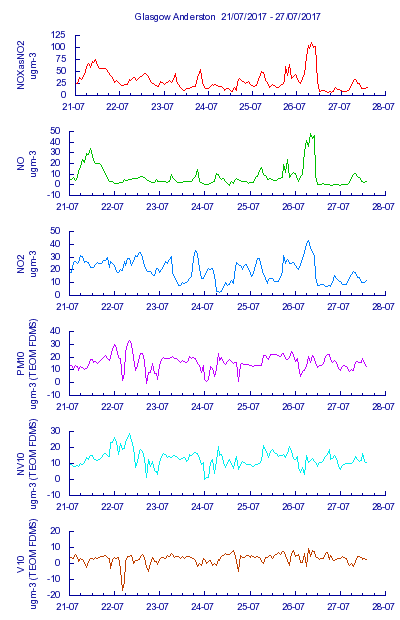 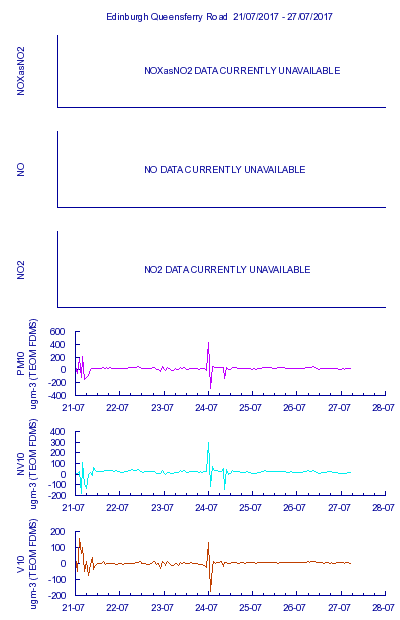 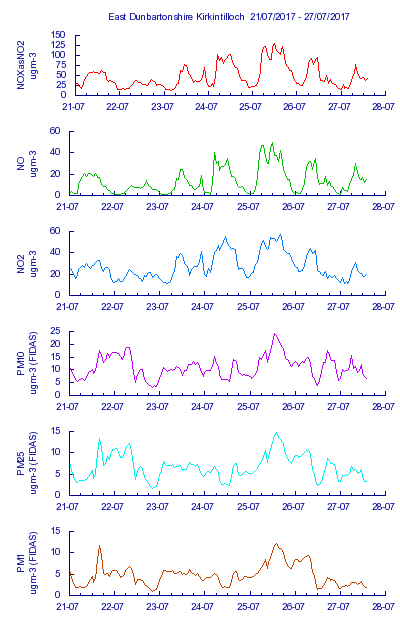 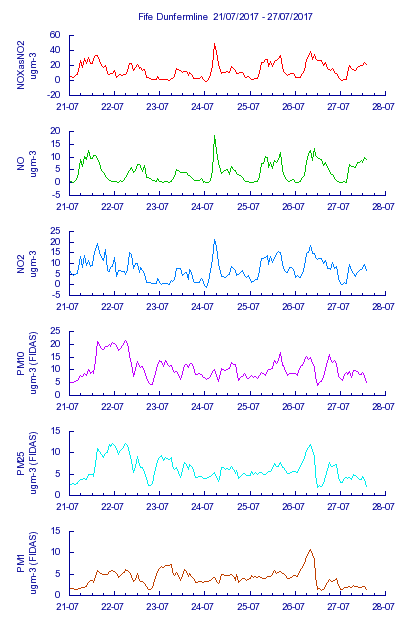 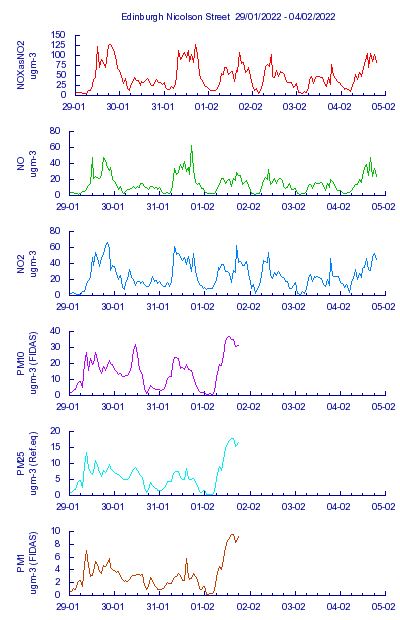 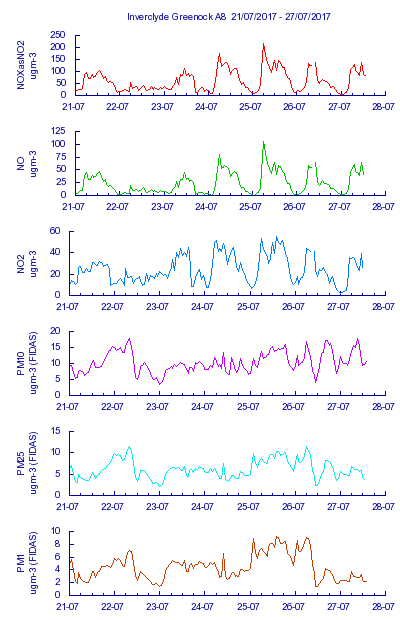 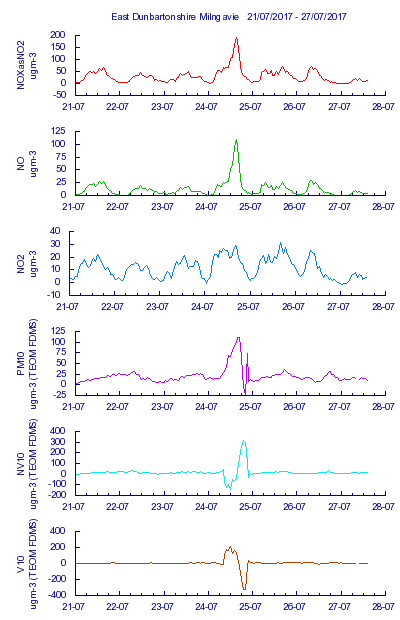 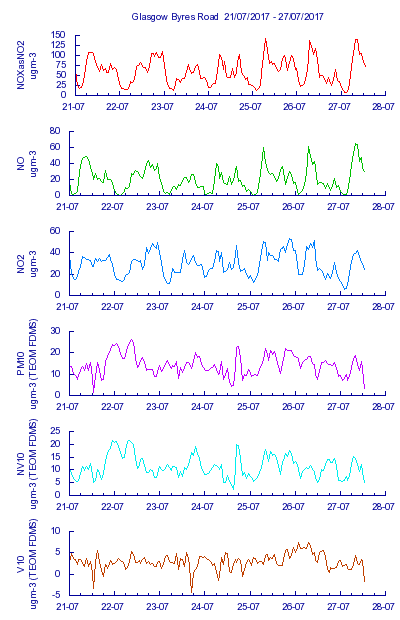 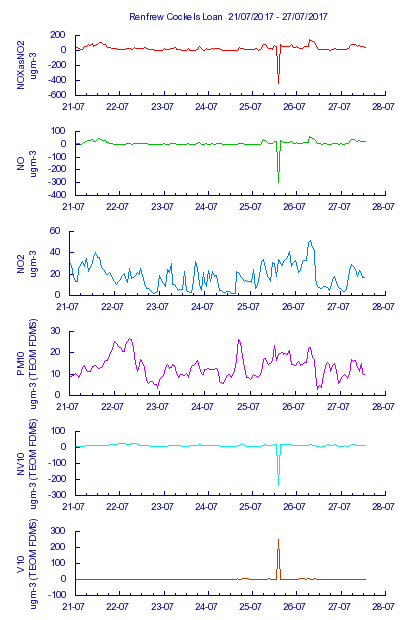 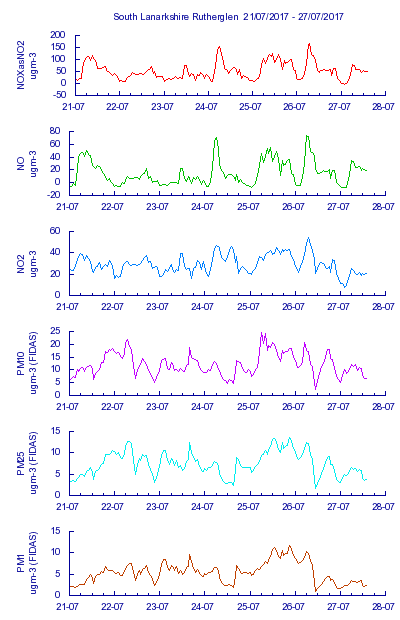 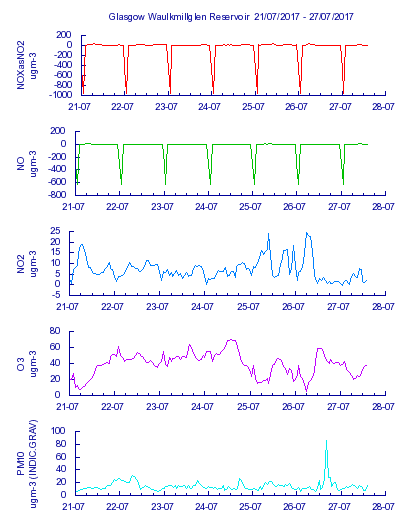 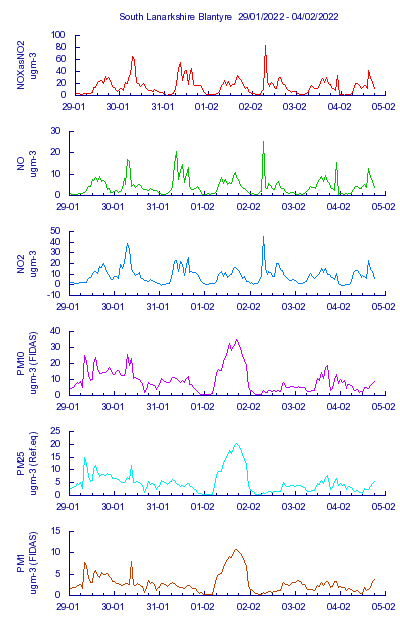 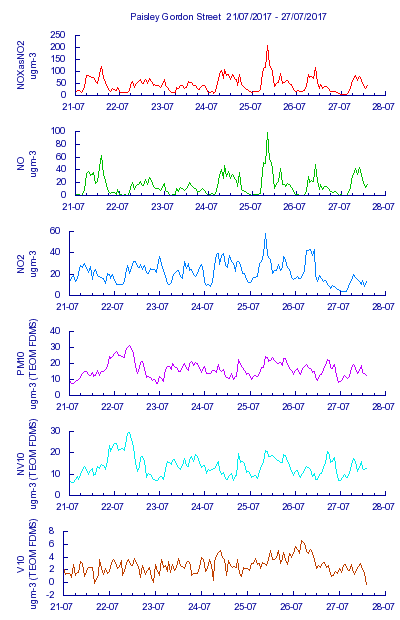 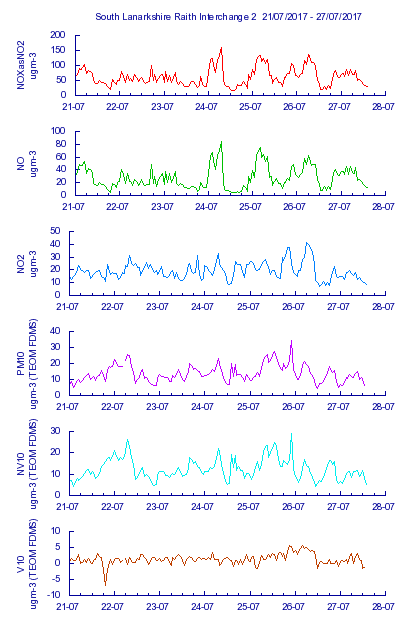 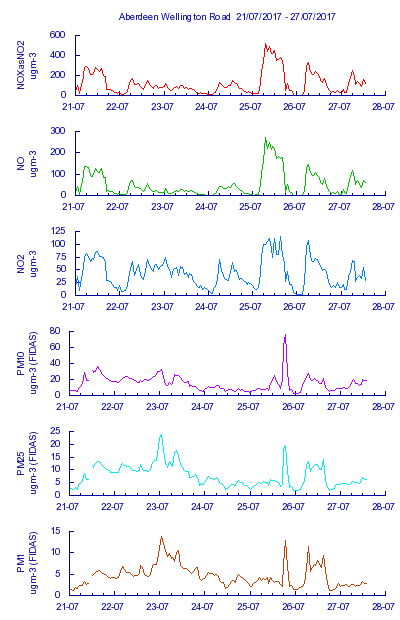 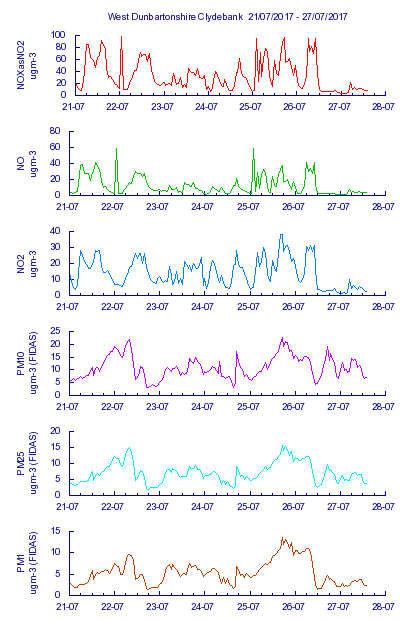 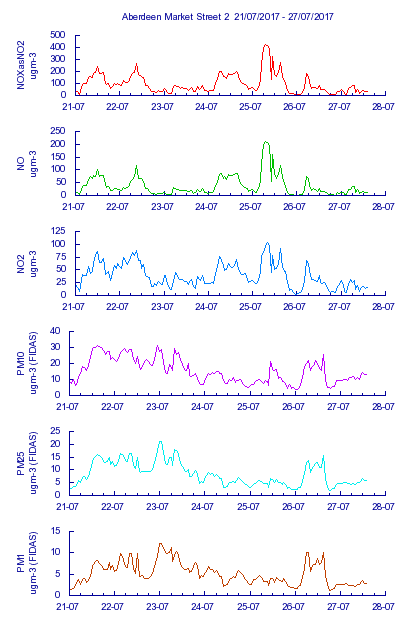 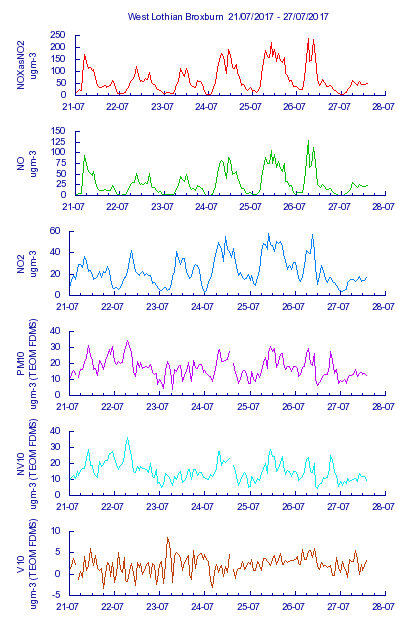 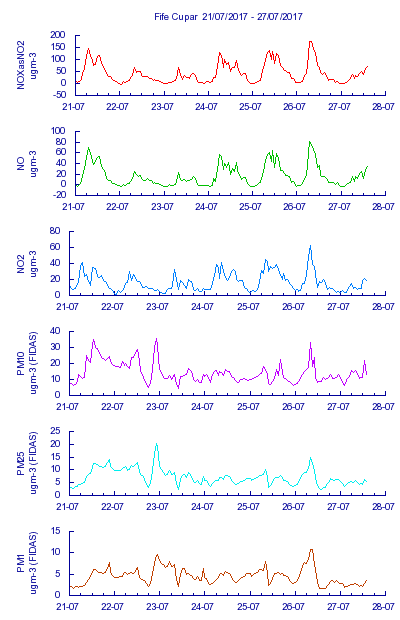 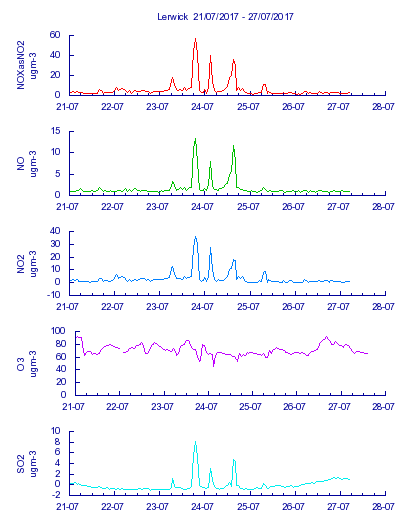 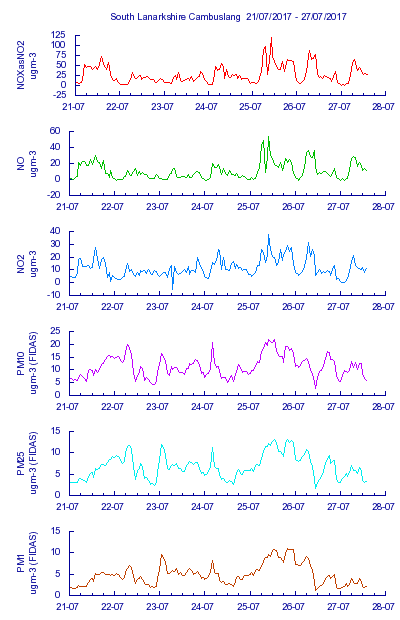 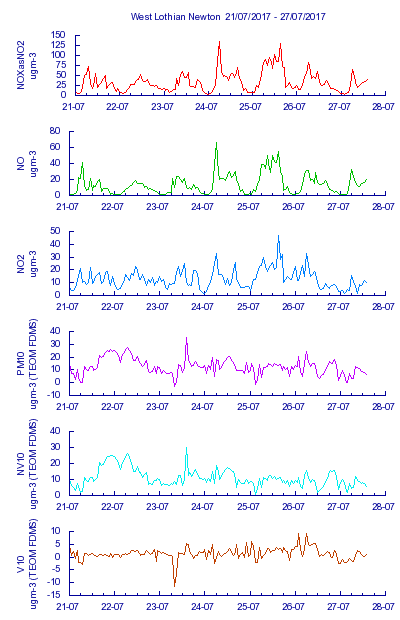 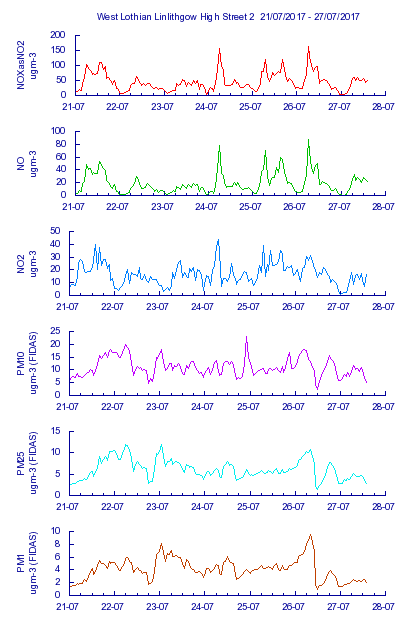 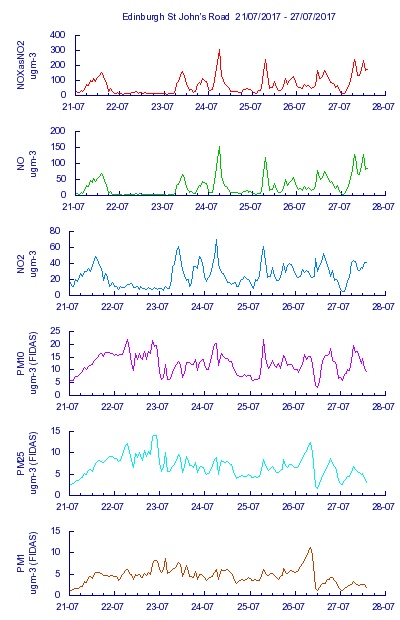 Summary graphs showing the last seven days are available for each pollutant in the left hand column of the table. 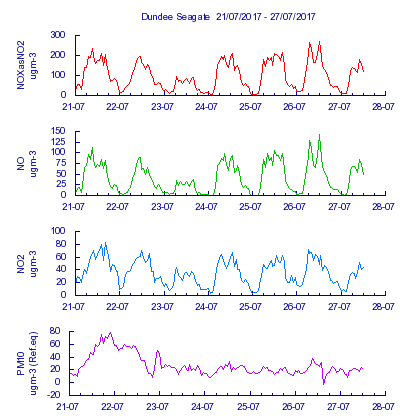 Information about how to interpret the measurement data is shown on the Daily Air Quality Index (DAQI) page. 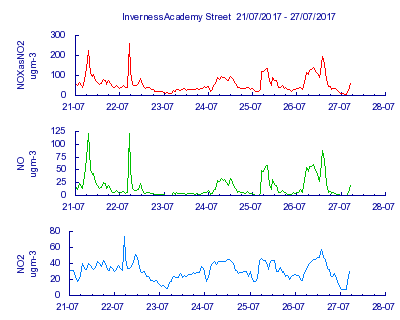 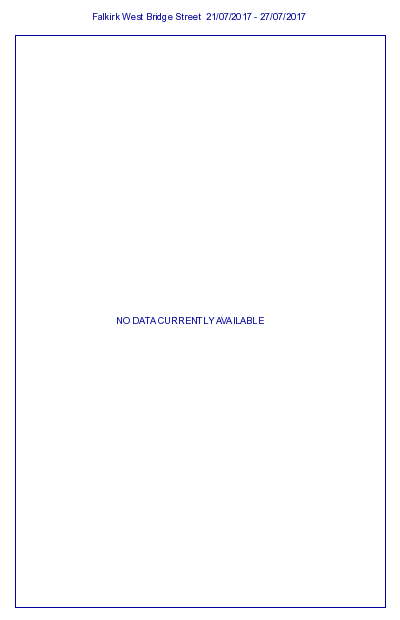 Click on the site names below to view the latest data along with site information.